Accept your addiction problem. Acceptance is the first step towards solving the problem. 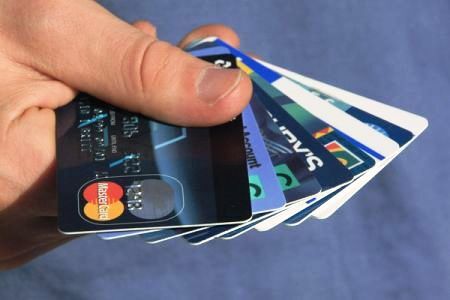 You must realize that the bills which are piling up and the debts which are increasing with every swipe of card are the signs of your addiction problem. Seek help from others. You can tell you close friends about your credit card addiction and can ask them for help and guidance. He/she can help you by taking you card away and keeping it with her for a while or she can remind you time and again that you’re missing your card. Opt for closing the bank account. Some people cut their cards or abandon their cards for a short while but these are temporary solution and a shopaholic can’t help but getting a new card again. If you won’t have a bank account, you won’t be able to use your credit card. Congratulate yourself after every step you take towards solving your addiction problems. Every step matters and one should appreciate his efforts. If having a bank account is necessary for you, start using debit card instead of a credit card. With debit cards you will get all the convenience you want. You can carry it everywhere but the only difference would be that you won’t be borrowing money from bank but will be using only that money which is already present in your bank account. Once the money in your account ends, you won’t be able to buy anything from your debit card. This is a great solution for your shopping habits. Seek professional help. You can ask for a rehab expert if you think your family or friends are not able to help you get over your addiction of credit cards. Credit card addiction is a serious problem and it should not be taken lightly. While you’re trying to get over your addiction, try also to reduce your debts by saving money each month. By taking small, regular steps you can not only solve your addiction but can also pay back your debts.